Tired of waiting for hours to get your gadgets charged? Or Surprised with an alarmingly hot charger? All these issues can come to end with the new GaNFast charging tech. The new GaN technology promises to solve all these problems. Hopefully, there will be no need to carry power banks or cables along. GaNFast charging, The revolutionary technology by Navitas Semiconductor is divided into two parts. The first ‘GaN’ stands for gallium nitride. Gallium Nitride is the semiconductor or we can say it is a material that can conduct and resist with minimal waste heat production make for ideal transistors in power supplies and chargers. Whereas, the other part represents the greater charging speed. hence, Navitas semiconductors is using this material in its power management integrated circuits. Further, It sells these power ICs to charger manufacturers. Reports claim faster speeds, greater efficiency, and higher density due to a layer of the traditional silicon wafer used. No doubt there is a lot of innovations made in recent years in order to improve charging speed. Meanwhile, more power is supplied it either increase their size or produces a lot of heat. It offers 3x higher power density, 40 percent greater energy savings, and 20 percent lower system costs, Navitas claims. As shown in CES 2019, The latest tech charges the Pixel 3 and iPhone X faster than a traditional charger. You will get this tech in the latest USB-C charger ranges by Anker, AUKEY, etc. 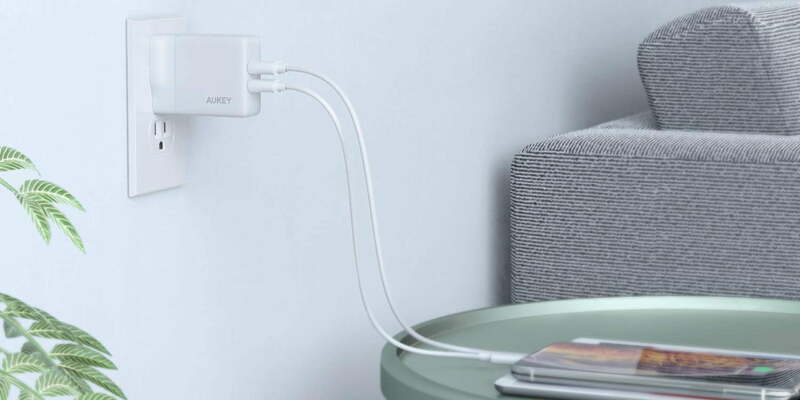 In fact, Aukey’s charger with GaNFast charging support is available at Amazon for Rs 1700(approx). Whereas, Anker’s Atom PD 1 USB-C charger (capable of delivering up to 30W), available at Amazon. Previous articleIs Your Email Address And Password Compromised In Largest Data Breach Ever?